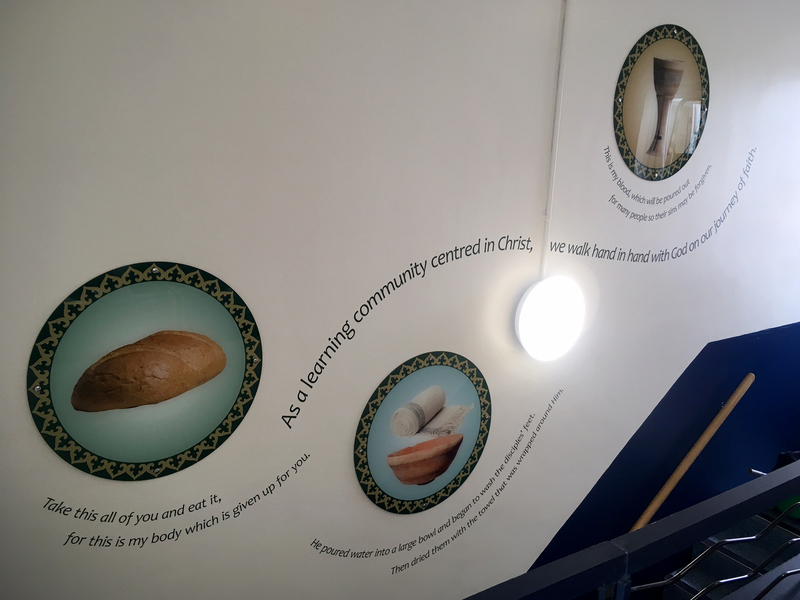 The brief: To transform Y3 and Y6 stairwells into permanent displays. 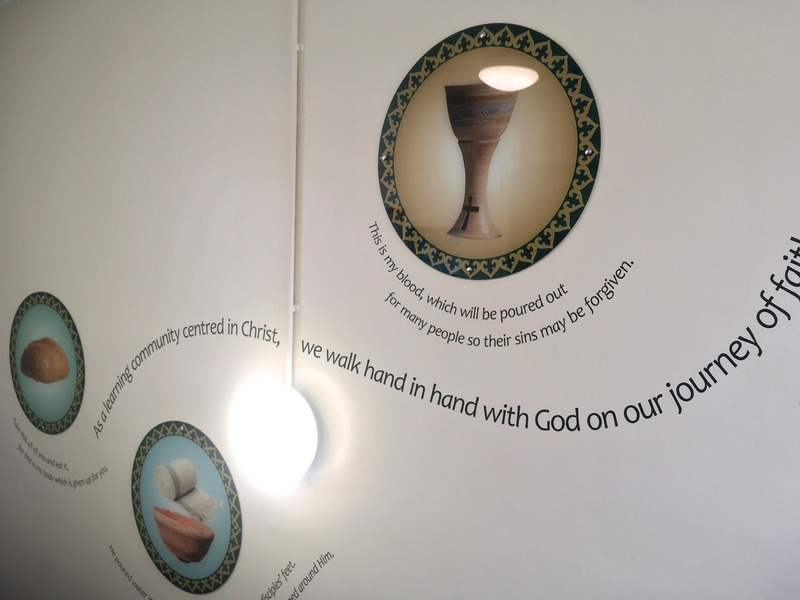 The process: Two Thirds Design were invited to English Martyrs Catholic Primary School to produce concepts through to finished designs celebrating Holy Communion and Confirmation. We used photographic images, prayers and text along with the school colours. 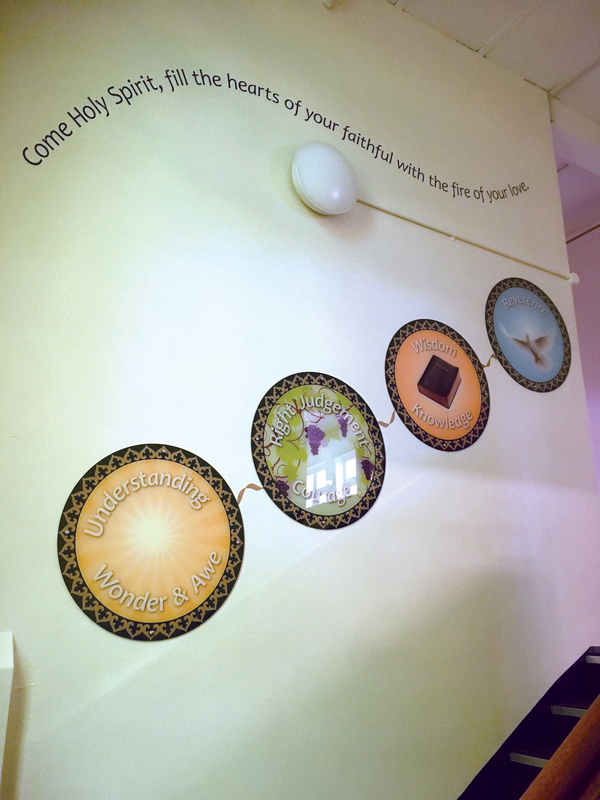 The end result: A permanent display using acrylic discs and vinyl cut out text, which reminds children of the importance of Holy Communion and Confirmation in the Catholic Faith.